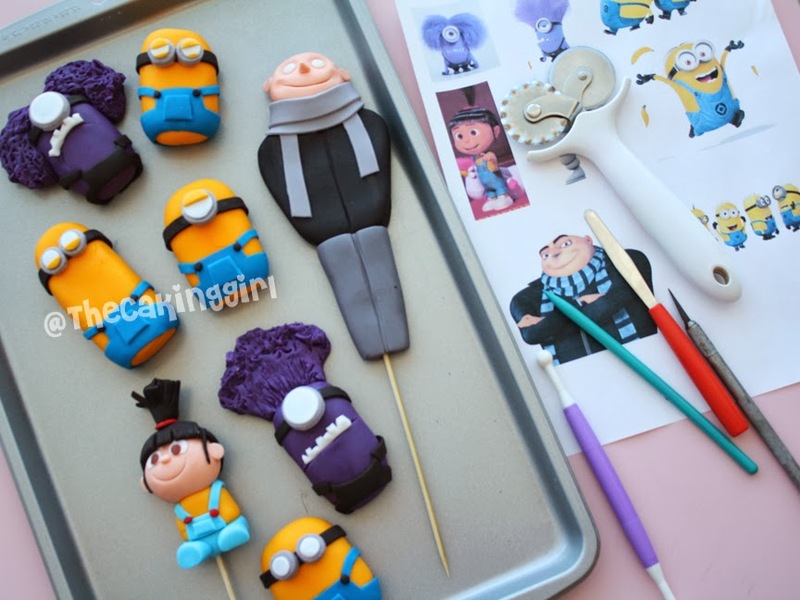 TheCakingGirl: More Despicable Me Cakes! 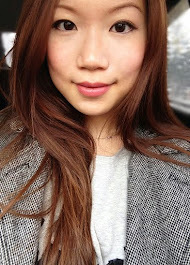 If anyone had noticed, I am no longer TheCakingGirl.com :(... I lost the domain and been trying to gain it back, I made an offer, hopefully they (whoever the new owner is) will be understanding and give the name back to me. 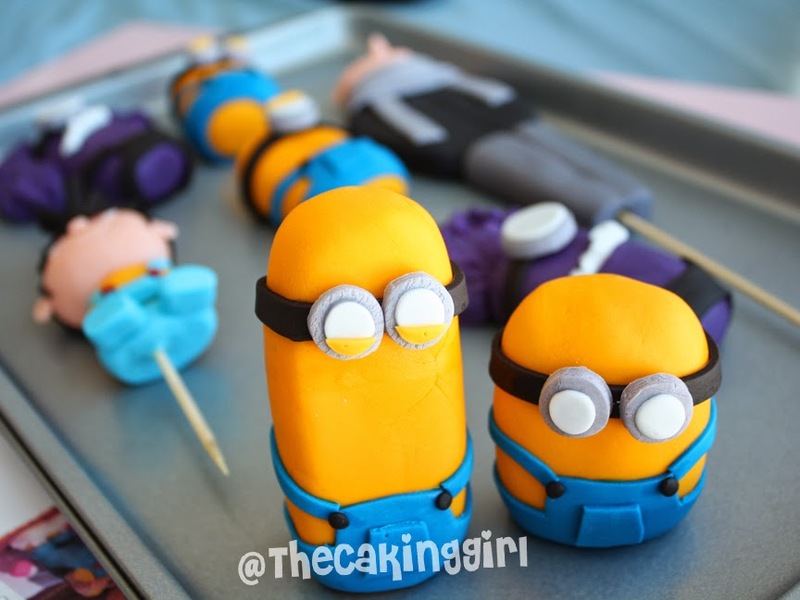 I'm still TheCakingGirl. But it's no longer dot com. it's dot ca. 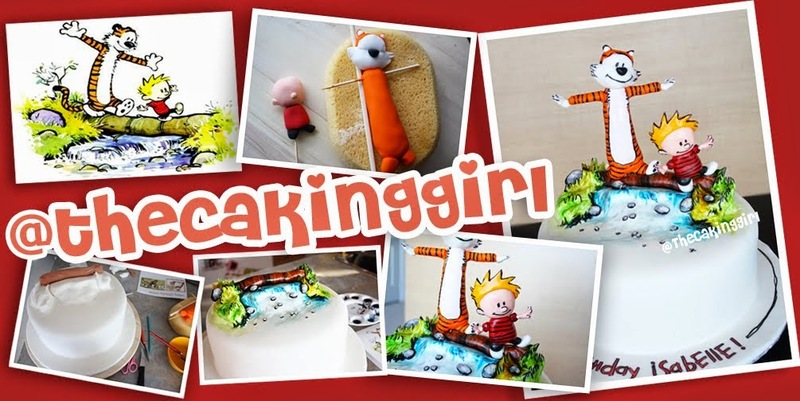 Why did I call myself TheCakingGirl anyways.. well, about 4 years ago, when I first started making cakes, I was pretty bad at it but I wanted to get better, and I really enjoyed it, so I made as many cakes as I can for free for people, so I can practice. My friends were calling/texting me asking why I can't go out, what am I so busy doing. I got tired of typing that I'm busy making a cake, learning how to decorate etc, I simply replied, "I'm caking,". I made cake into a verb lol. Cause that's what I was doing, I was Caking. So I called myself The Caking Girl. I see that term being used in other cake forums now :) yes, it's a verb, it's a hobby, it's a career, it's a life. Anyways, now that I sorta sorted out the domain name situation, I want to blog more. I hope you enjoy my blogs, altho I don't write as much, and it's mainly visuals. I plan to write more. My edible gumpaste figurines lying out to dry. One of many gumpaste minions I've made the past couple of years. 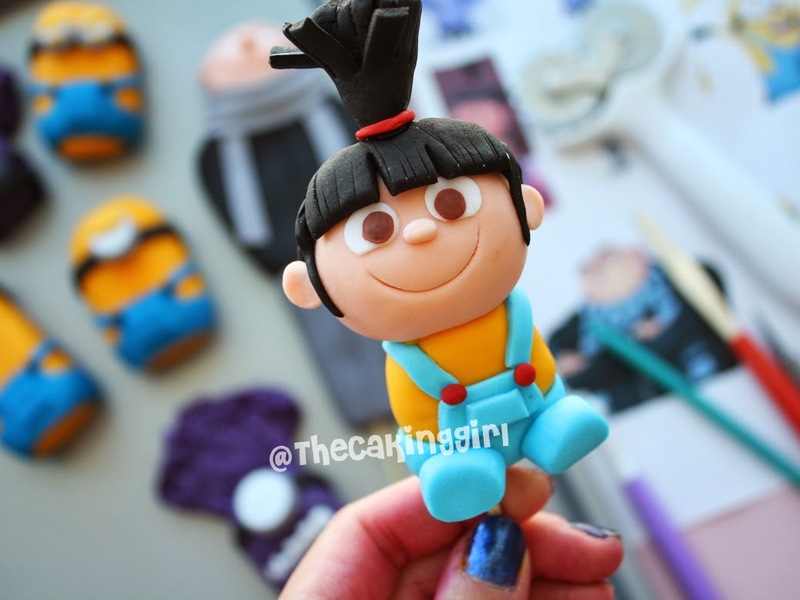 I love making minions, now that I'm familiar with which circle cutters to use for the eyes, and how to make the overalls, I'm pretty fast at it now! Here's the cake put together! 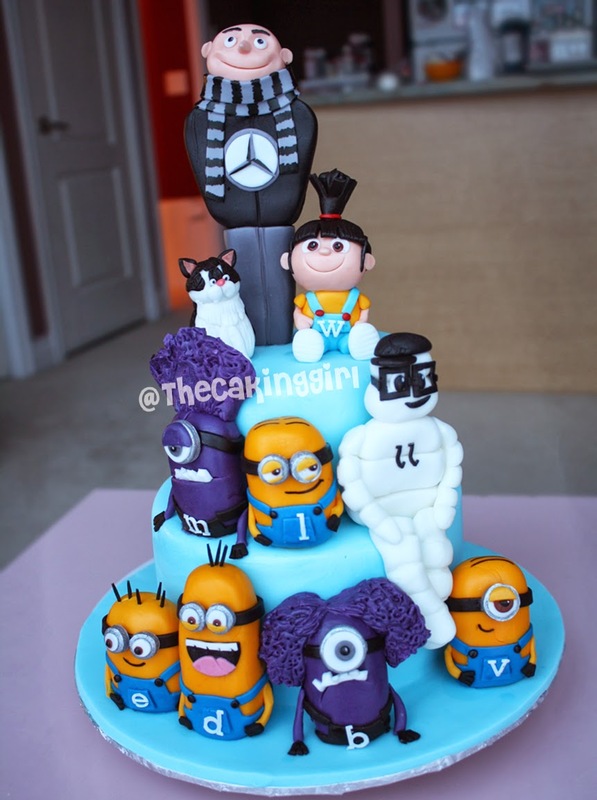 Each character are to represent someone, that's why there's a Michelin man, a cat, initial letters and benz logo. Really inspired to see this passion of the girl about her work. There is a great lesson from this never give up and try try again to become a perfectionist and an expert. Now you can get essaymania uk the best quality writing work and the cakes in all designs and flavors from this girl with the quality services.